I am also wearing new hair from Exile. The hair band is from Glam Affair at Collabor88. My skin is the Romy skin from Glam Affair. The poses that I am using are both from flowey but they are separate poses. The first pose is part of the new stuff at Collabor88.. It’s cloud seat and I used another prop/pose from flowey that you can get at the main store. L’Accessories has these really daring and bold shoulder spikes from Glam Affair I can see wearing these for some extra edge to your outfits and they are certainly sleek and well made. The Main store of Glam Affair has also recently released some brand new accessories in addition to the set at L’Accessories. There are new Liners with Glitz, spikes and pearls, masquerade masks, handbags, head pieces and its all really really cool! I am also wearing hair from Wasabi Pills, Glam Affair Amberly skin and eyes from Ikon. My eyelashes are from Miamai. Zodiac brought to you by The Hottie Cooterati Experience is now opened! There are many great content creators participating this month and even if you are not a Leo you are bound to find something that you just have to have. Leo runs from July 23rd until August 17th. I am wearing this really cute outfit from Solange! Fashions that is only available right now at the Zodiac event and my poses are from Adorkable, also only available at the Zodiac event in Playful Leo that come in a set of five with mirrors included. 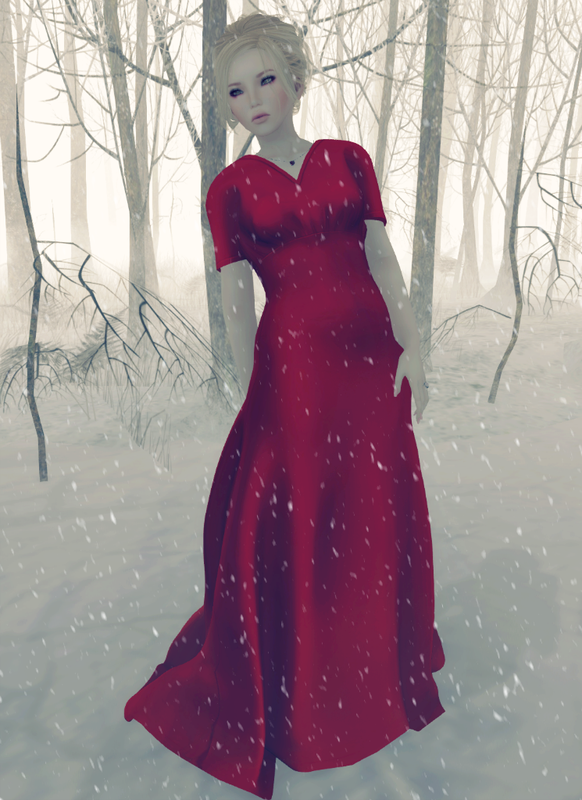 I am also wearing skin from Belleza in Lily V1. and hair that is at Collabor88 right now for July from D!va. Caged. Trapped. Alone. That is how I could describe how my depression makes me feel at times. I know though that I am not alone in these feelings and that there are other people like me who can say that they are going through the same feelings and emotions. Sometimes though it’s hard to see past that haze. Back to Black is an Awareness event (not Charity) put on and paid for by Chic Management. You can read more about the event here. Personally I think it’s nice that an Awareness event like this exists. Last time when they did the Black and Blue Fair a few summers ago.. I was overwhelmed with knowing that there were people nearly in my same shoes going through what I was.. and I was so much less alone. I am wearing preview items from the fair. The wonderfully dramatic dress is from Peqe. The hair is from Mina. The beautiful mesh boots are from Lassitude and Ennui. 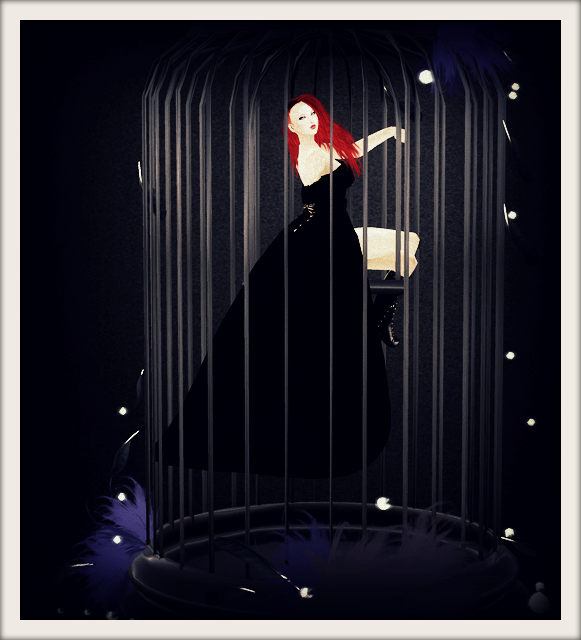 The pose with cage is from Miamai. If it’s possible the cage is even more stunning in world. 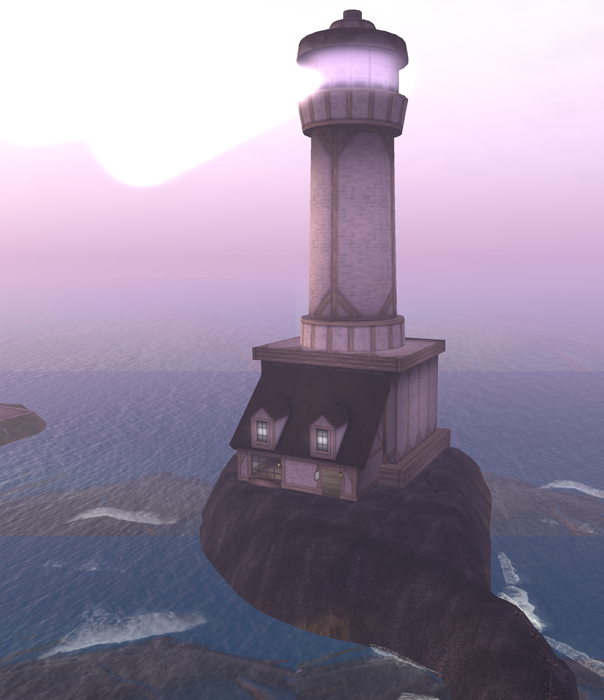 The event opens on February 11th and closes on February 29th at 4slt. 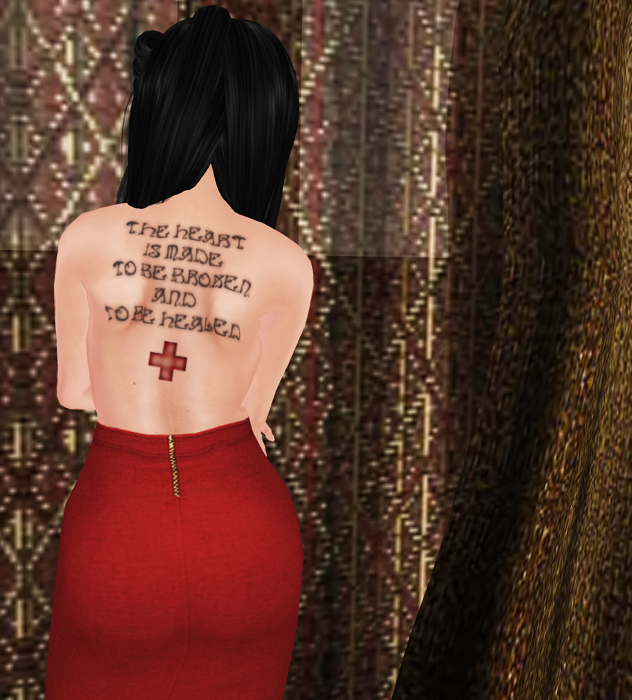 On of the greatest joys for me in SL is putting together an outfit that inspires my creativity. I went to Miamai yesterday after hearing about the new Black Label collection on Plurk through my friends list. The Chod collection is candy for the eyes. There are male and female pieces and they are so skillfully, artistically done I had to look around a bit to find the pieces that I wanted to decorate my canvas with. 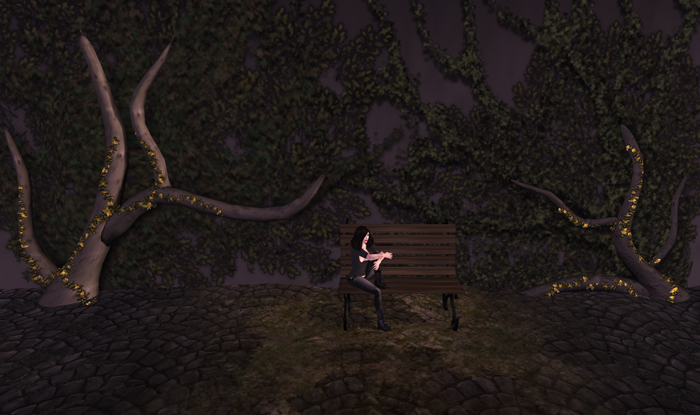 I took more photos than what I have here, Cajsa suggested a place called the Dire Marsh and I fell in love with it. I found the collection to be beautiful, unusual and other worldly. The mesh boots above fit perfectly and after years of wearing prim boots I was completely enchanted with posing my avatar in different ways and not once did the boots falter. I’m always looking for some new inspiration in SL and this collection hits the nail on the head for me. It is brilliant and definitely worth checking out.